I am sure you could think of someone that these towels would be perfect for (maybe even you). They would make a wonderful housewarming or bridal shower gifts. It is the whole towel folded in half then stitched on to the Crochet Dress Topper. The topper is Cute and Unique! 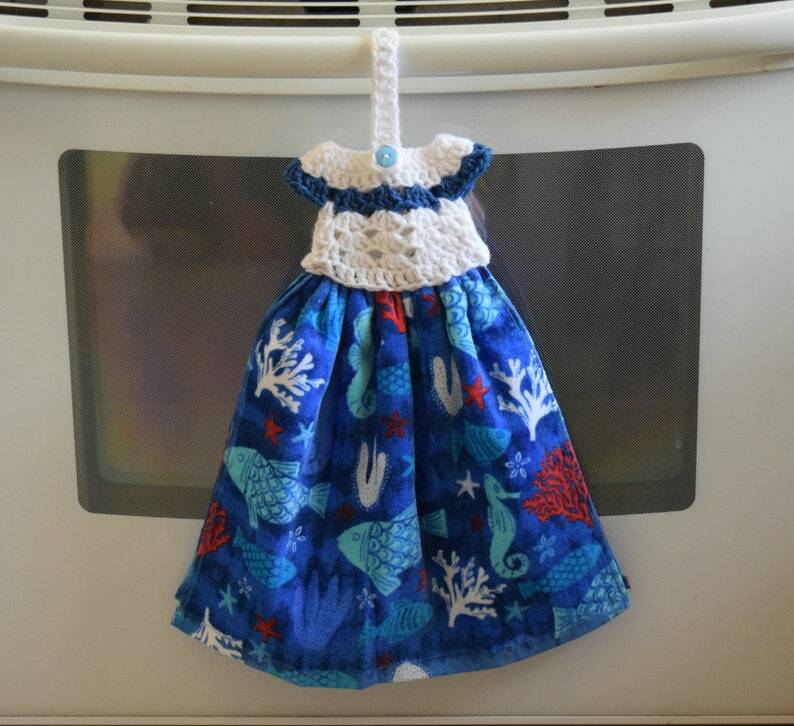 It is a cotton towel, that is heavier than most,with an acrylic yarn Crochet Dress Topper and is White with Blue accent . The towel itself once folded is 14 inches wide and 13 inches tall, with the crochet dress it is 18.5 inches tall. Please note that actual colors may vary slightly due to variance in computer screens and dye lots.